The link to the pictures of the FCCC New Year Reception which took place on 6 February 2017 at KBC Bank in Brussels is now available. Foreign Trade Development Bureau of Ministry of Commerce, China Chamber of Commerce, China Aquatic Products Processing and Marketing Alliance, Korea Trade-Investment Promotion Agency, Royal Thai Consulate-General in Qingdao, Japan C & Z Communication, Asian-International Trade and Investment Association, Malaysia China International Trade Link Association, Taiwan Cross Strait Exhibition Association. Weihai International Food Expo was founded in 2010,and it is China’s first food exhibition focusing on exporting quality and safety of agricultural products. It is held by the Department of Commerce of Shandong Province, Shandong Entry-Exit Inspection and Quarantine Bureau and Weihai Municipal Government in June every year. It has been successfully held for 7 sessions, with in total 4228 international standard booths, 2266 exhibitors from home and abroad, 10,500 professional buyers from more than 40 countries and regions, and 11.07 billion yuan of trade intention. The exhibition area is 30,000 square meters. The Expo will invite about 3,000 purchasers from large domestic chain supermarkets and business associations, purchasers from South Korea, Japan, Russia, Malaysia, Thailand, Taiwan and other countries (regions). Exhibition scope will cover marine food, agricultural and sideline products, snack foods, imported food, alcohol and beverages, food packaging and processing machinery. Weihai is the largest fishing production base in northern China, China’s largest frozen food export base, China’s largest production and processing base for kelp, China’s largest fish oil capsule production base and seafood canned production base, China’s largest peanut exporting base, and the biggest base for aquatic products and concentrated fruit juice in China. As an important city for exporting agricultural products, Weihai has been the first city to construct quality and safety demonstration base in the country since 2008, and it has formed a reliable quality and safety supervision mode to enhance the quality of agricultural products including aquatic products. Weihai City has been awarded the Shandong Provincial Government and General Administration of Quality Supervision, Inspection and Quarantine of the People’s Republic of China first “Quality and Safety Demonstration City of Exporting Agricultural Products in Shandong Province” award and the first batch of Quality and Safety Demonstration City of Exporting Agricultural Products in China. For all overseas exhibitors, we will provide free booth, for which business license copy would be required. For the team leader who organizes more than 10 overseas exhibitors (1 person for each delegation), we will provide preferential policies of airport pick-ups and seeing-offs (only for Weihai Airport and Yantai Airport). For overseas purchaser, after confirmed with identification, we will provide preferential policies, including airport pick-ups and seeing-offs (only for Weihai Airport and Yantai Airport), and 3 days (with 2 nights) free accommodation. For the team leader who organizes the purchaser delegation of more than 10 overseas excellent purchasers (1 person for each delegation), we will provide preferential policies of 3 days (with 2 nights) free accommodation. The Flanders-China Chamber of Commerce is organizing a seminar focused on: “Doing Business in China – The People Challenges”. This event will take place on 17 March at 12h00 at Barco, Beneluxpark 21, 8500 Kortrijk. According to survey of European companies based in China, one third mentioned that rising labour costs is their top HR challenge, while one quarter reports that talent shortage is their second biggest HR challenge. During her visit to Belgium, Mrs Diana Lu, Vice-President Human Resource APAC at Barco, will speak about Chinese culture, its implications on Leadership and Talent and the HR challenges of Barco in China. 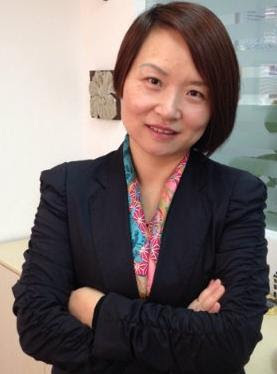 She will also give valuable information about retaining talent in China. If you are interested in attending, please register via this link. The Flemish Center for Quality Care and the Flanders-China Chamber of Commerce are organizing a session on “Made in China 2025” on Tuesday 21 March 2017. We will examine the consequences of this policy. What does it mean for Flemish companies in China? And the other way around: what consequences will the quality improvement have for the Flemish manufacturing industry? Date: Tuesday, 21 March 2017 at 15h30, the event is followed by a networking drink. Registration by following this link.